For a Boca Raton Personal Injury Attorney you can trust, you should contact Robert Gluck at the Law Offices of Robert E. Gluck, P.A. He can provide legal representation for those who are injured as a result of an incident or accident that results in any injuries. Examples of an incident / accident are an automobile accident, falling on someone's property, and being injured due to a defective product. Before you can move forward with a case, negligence must first be proven by your Boca Raton Personal Injury Attorney. Negligence is a standard of care a reasonable person should follow to avoid injury to someone else. If someone does not meet that standard, they can be held financially responsible for your injuries and may be required to pay for your medical care and expenses. Robert Gluck will thoroughly evaluate your claim and all the related facts that are available. He will use his experience as a Boca Raton Personal Injury Attorney to make sure you receive the compensation you deserve. It is of the utmost importance to hire your Boca Raton Personal Injury Attorney Robert Gluck immediately after injury. This will ensure he can do a complete investigation into your claim and gather all the necessary evidence needed to assist you. He will locate and speak with any witnesses to the accident, asses any property damage, take photographs of the accident scene, and secure any video surveillance. Robert Gluck has been practicing law since 1989 so you know you will be in great hands. If you have been injured as a result of an incident / accident for which you are not at fault, you should call the Law Offices of Robert E. Gluck, P.A. You shouldn't have to go through this ordeal alone. Studies have proven that those who seek legal representation for their cases tend to receive a higher compensation than those who don't. 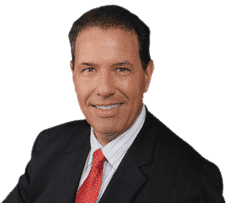 Robert E. Gluck is a devoted Boca Raton Personal Injury Attorney who will see to it that you are taken care of throughout the entire process so you can heal your injuries and move foward with your life as quickly as possible.